R-Drive Image OEM kit is the cost-effective way for system integrators, consultants and computer assemblers to provide their customers with a reliable system recovery solution. R-Drive Image SRMC license allows creating and distributing unlimited number of System Recovery media devices of unlimited number of systems at no extra charge provided that R-Drive Image OEM unregistered version is preinstalled on each distributed computer and R-Drive Image software icon is placed on the end user desktop. If for some reason the licensee can't preinstall R-Drive Image OEM version on the distributed computers and place its icon on the end user desktop the additional System Recovery fees for each distributed device must be paid. This form allows you to order R-Drive Image OEM kit and pay System Recovery fees for R-Drive Image OEM System Recovery Licenses. 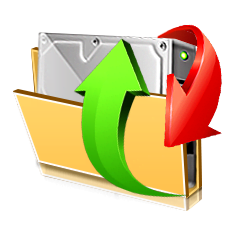 Choose a number of R-Drive Image System Recovery Media Creator licenses that should correspond with a number of computers where R-Drive Image System Recovery Media Creator is installed or used simultaneously. Enter a number of R-Drive Image OEM System Recovery Licenses that should correspond with a number of computers (devices) to be distributed. You may purchase additional R-Drive Image OEM System Recovery Licenses for already purchased R-Drive Image OEM kit anytime through Client Portal. Submit the form to get a quotation. A volume licensing discount is applied and a final price depends on a number of licenses required.